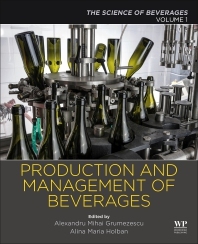 Production and Management of Beverages, Volume One in the Science of Beverages series, introduces the broad world of beverage science, providing an overview of the emerging trends in the industry and the potential solutions to challenges such as sustainability and waste. Fundamental information on production and processing technologies, safety, quality control, and nutrition are covered for a wide range of beverage types, including both alcoholic and nonalcoholic beverages, fermented beverages, cocoa and other powder based beverages and more. This is an essential resource for food scientists, technologists, chemists, engineers, microbiologists and students entering into this field. 12. Wine Consumption into a Certain Territory: Which Factors May Impact on It?